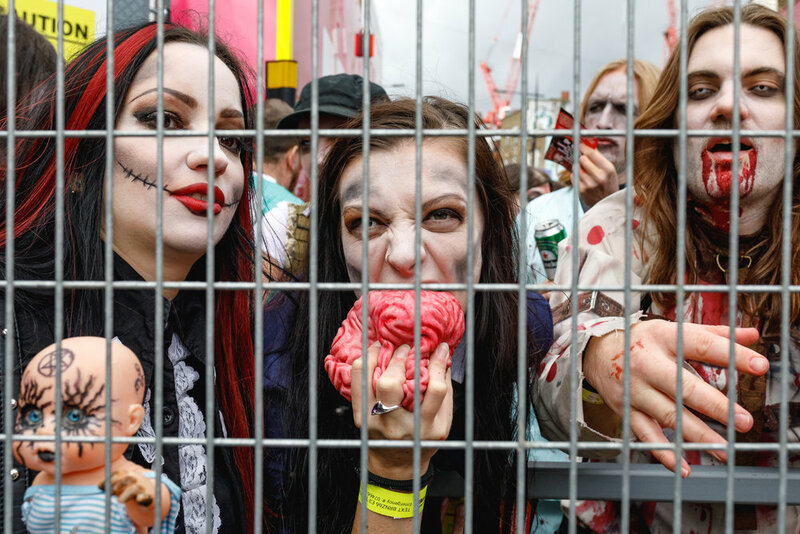 World Zombie Day, now in it's 11th year, is an annual charity walk where fans of the Zombie Culture joint together to raise money for charity. 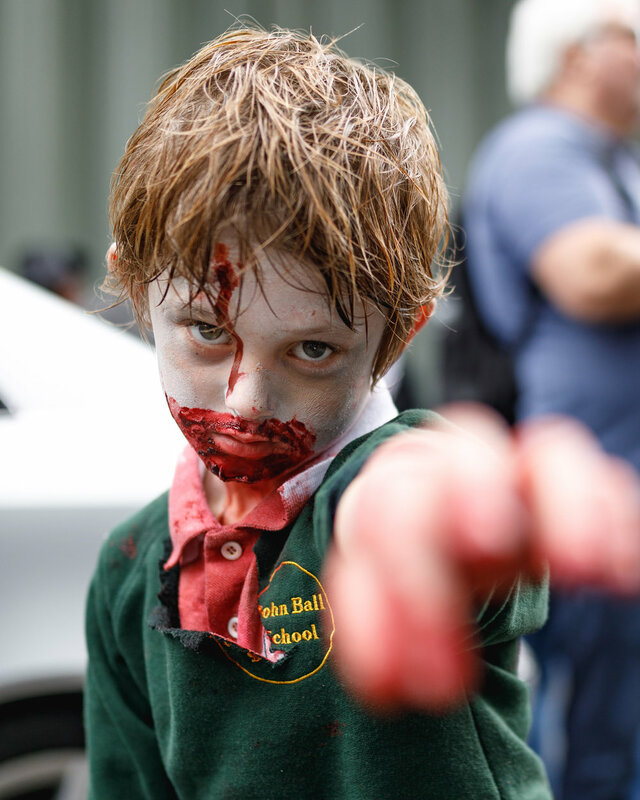 World Zombie Day was born in Pittsburgh’s Monroeville Mall in 2006, the location of George Romero’s film Dawn of the Dead. 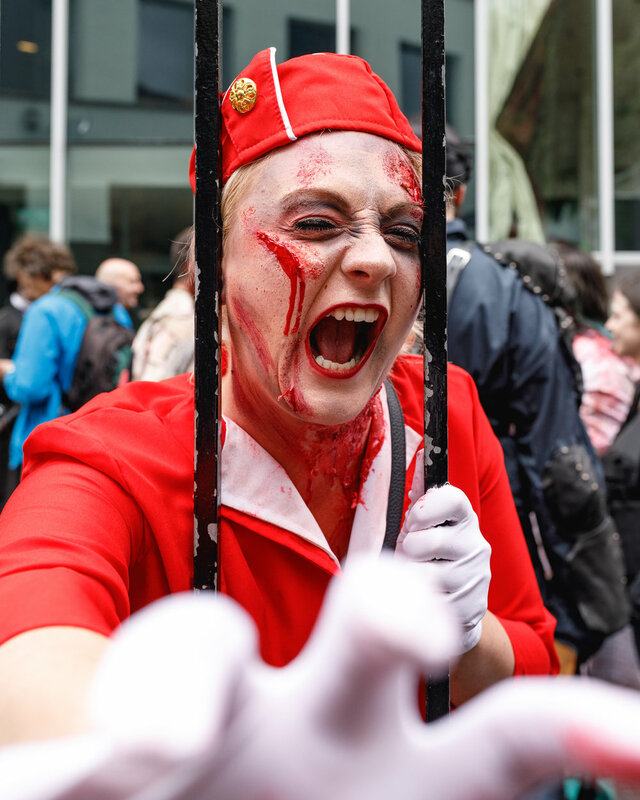 Now, more than 50 cities worldwide participate in WZD including New York, Pittsburgh, Paris, Hong Kong, Los Angeles, Chicago, Tokyo and Sydney. 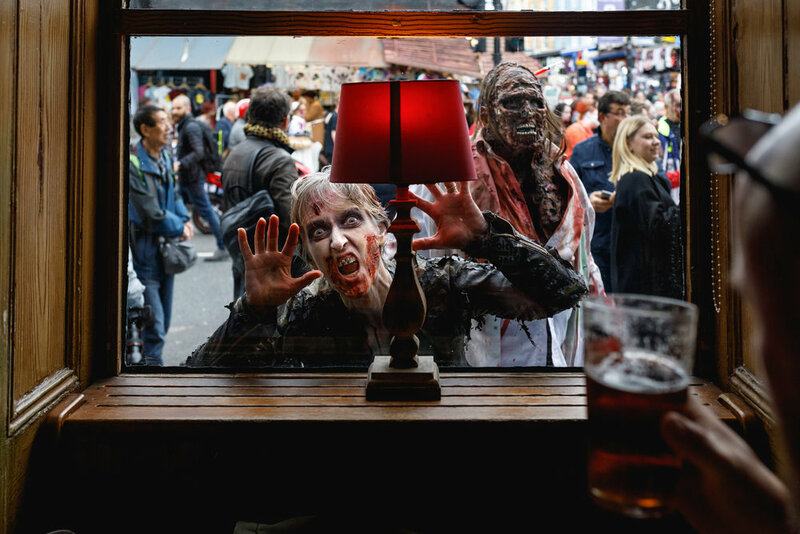 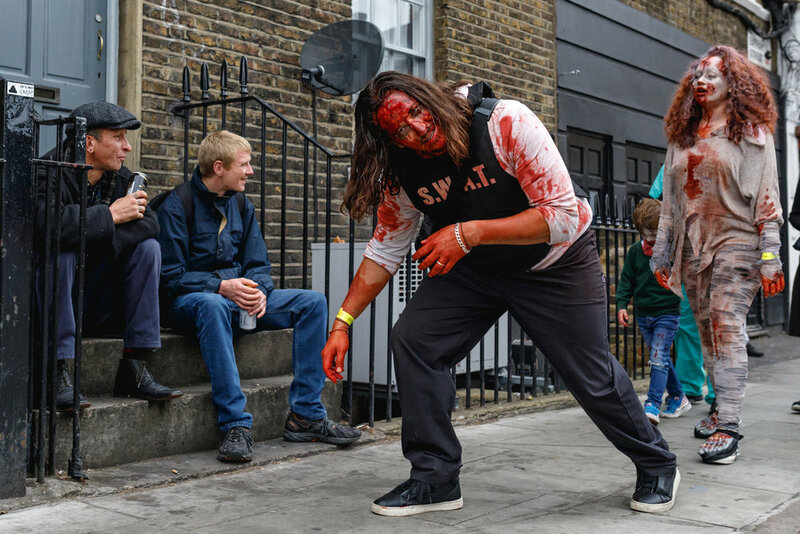 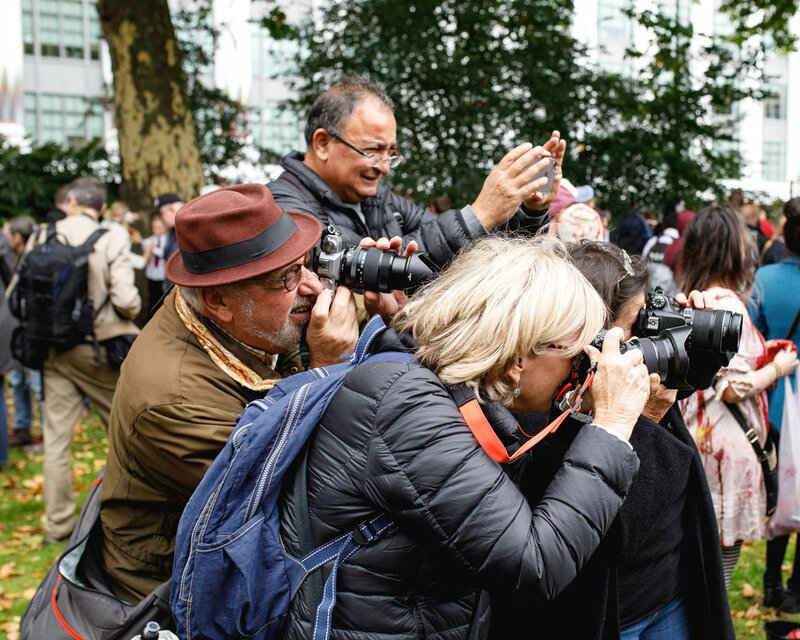 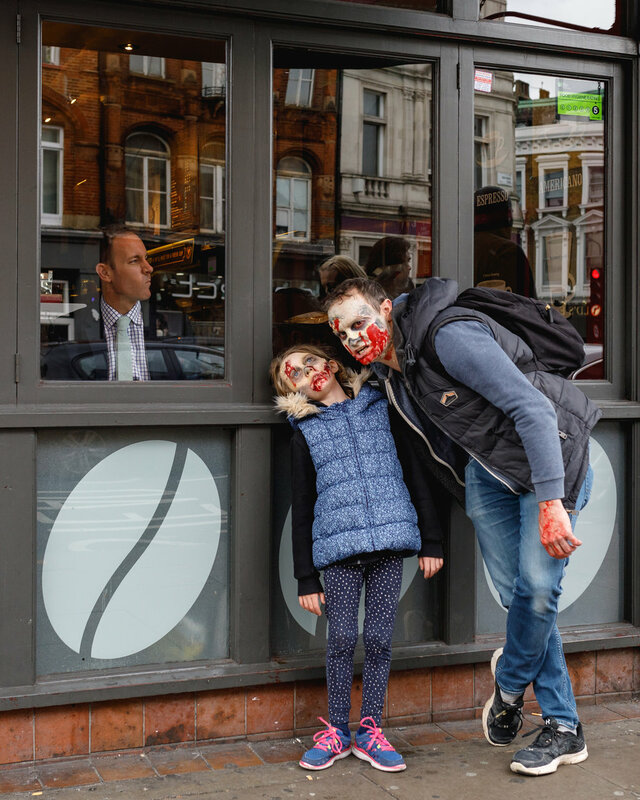 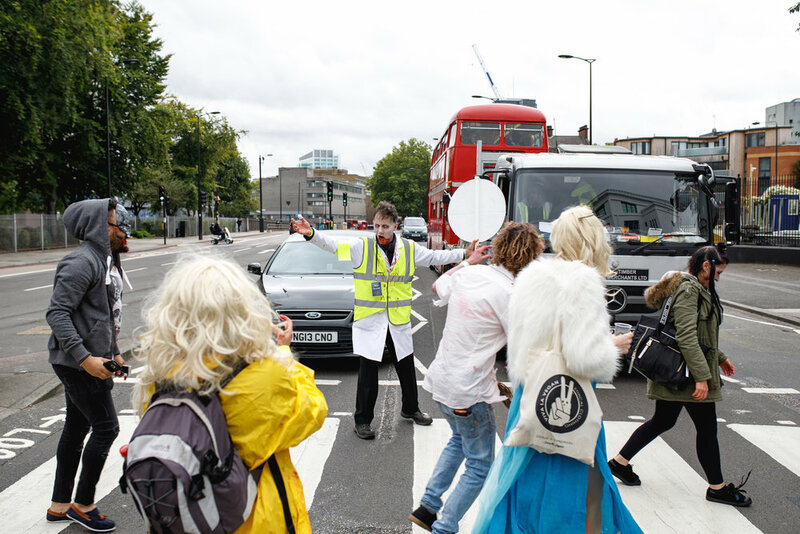 The London leg of WZD saw hundreds of participants dragged their feet through the streets of Camden, Kings Cross and Central providing a rather interesting and unusual scenes in London. 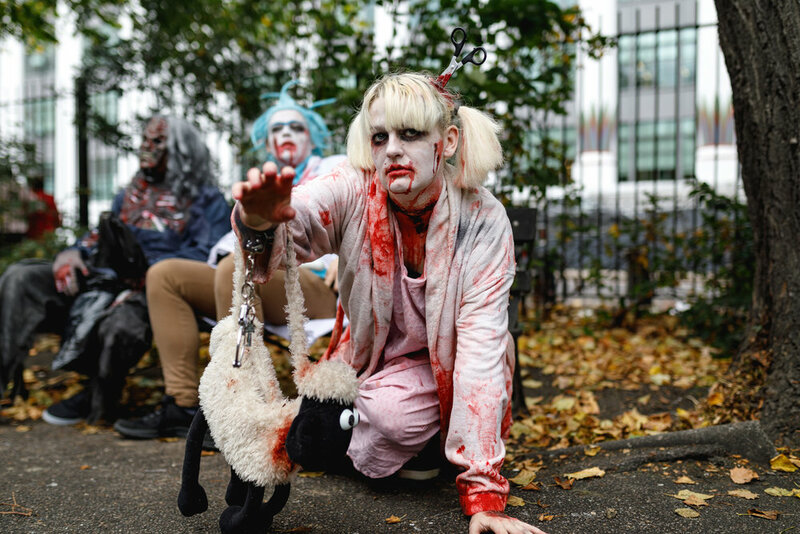 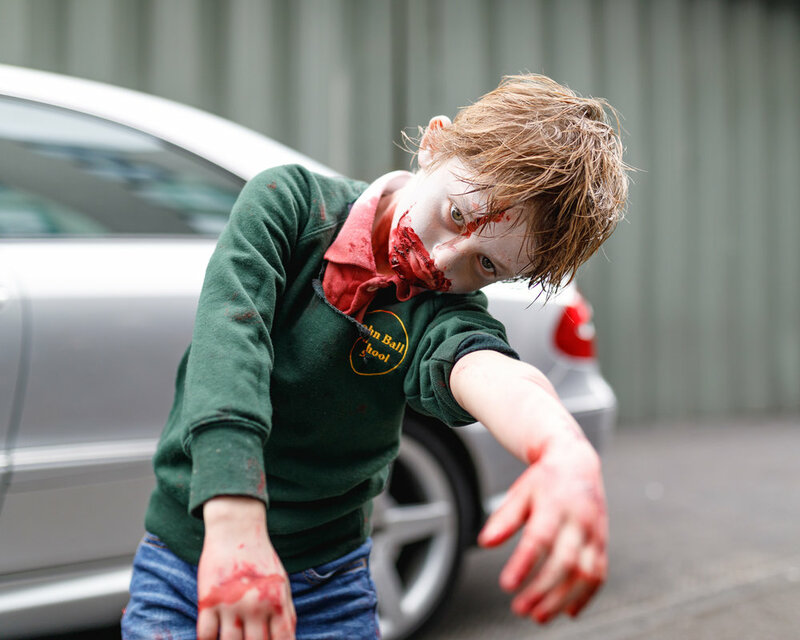 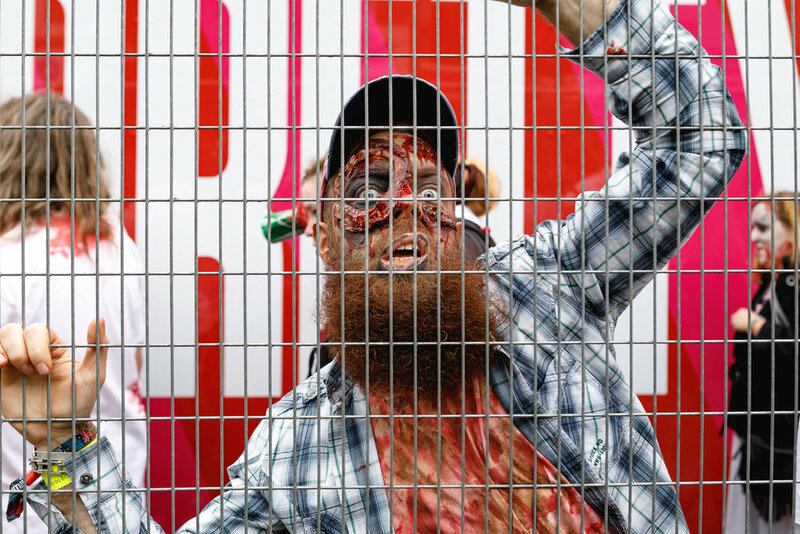 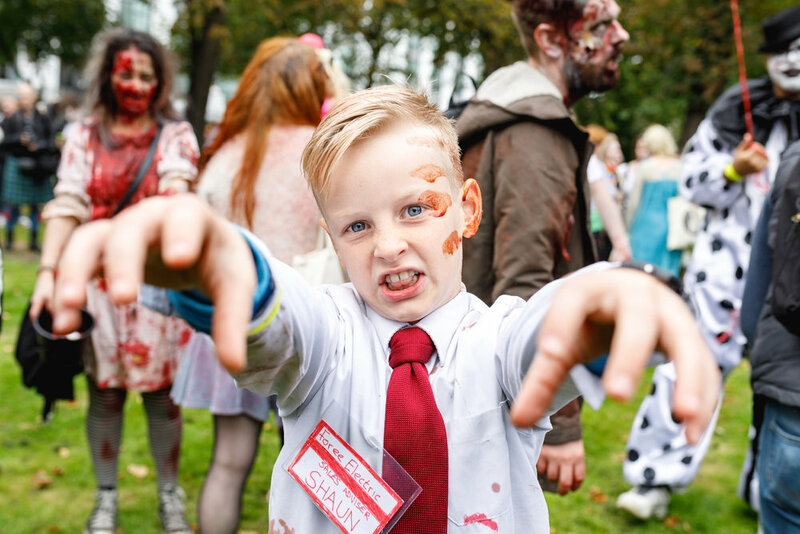 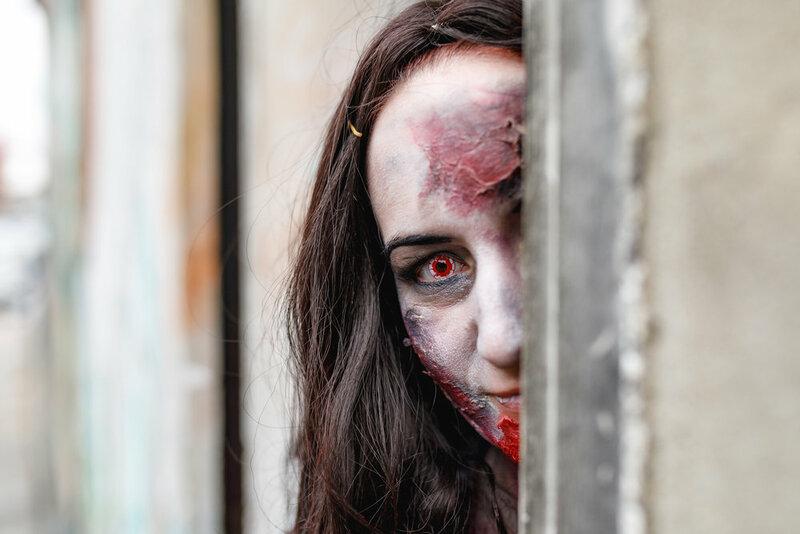 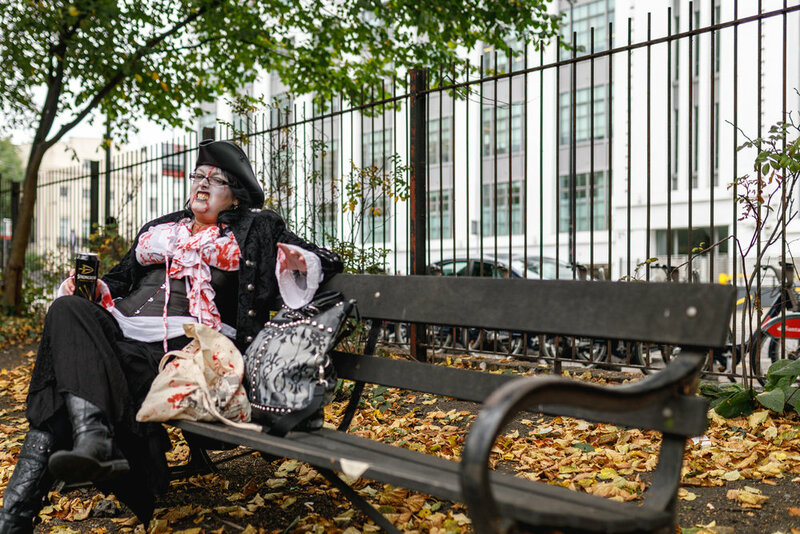 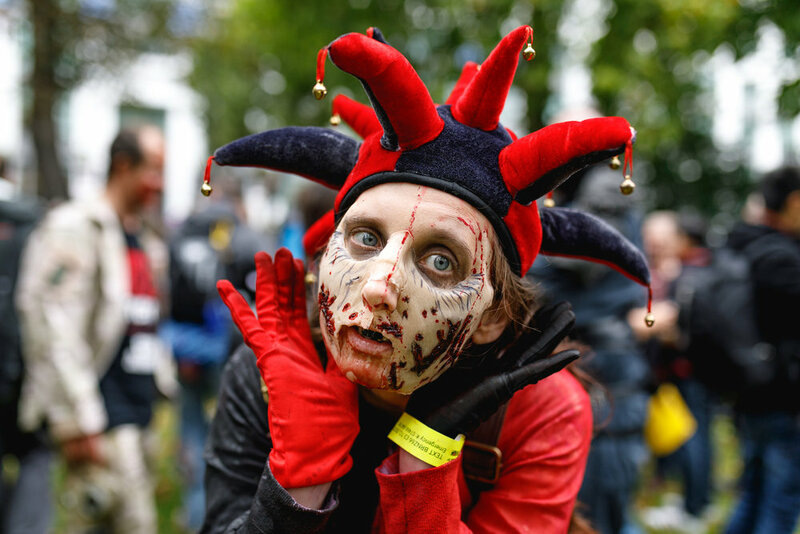 Now in its 10th year the London World Zombie Day raises money for St Mungo's which provides help for the homeless to rebuild their lives.